It takes you 1 hour to get from Amsterdam to Copenhagen by plane. And 8 days, 450 nautical miles, lots of emotions and experiences by an authentic 18th century frigate. How do you measure seamanship? In the number of drops of salty spray on your face? In the number of calluses on your hands from handling the lines? In decks cleaned, sails set, anchors pulled up or mid-day naps between the watches? To each their own, and this leg is a perfect chance to find yours. This is a very special feeling when you take the ship into a harbor and right away get into a hot center of the current events. We will arrive just in time to see the huge Tordenskiold Days festival. Peder Tordenskiold is a legendary figure in Danish history. He started his career by stowing away on a Copenhagen-bound ship end eventually ended up as a Vice-Admiral. Brave, wild and unruly, he earned his fame in the Great Northern war. His navigational and vessel handling skills made it into a legend: going by the stern of the vessel under his attack he would cut their ensign off their flag-halyard. The Tordenskiold Days are always celebrated with flare. Historical reconstruction specialist all over Europe come to Copenhagen, they build a historical village and replay battles between the tall ships and coastal artillery. We’re gonna be there. And not as spectators, no way! Historical reconstruction is often called “live history”. Shtandart is more live than anything, a real authentic battle frigate, she’s going to be in the center of action. Get ready to roll out our heavy cannons, punch it in tight, aim and not cover your ears when you hear rumble all around! We’re going to sail the North Sea from the Netherlands’ shelves and beaches to the German archipelago of Heligoland. The main island is small, less than a square kilometer, but has been inhabited from ancient times. For quite a while it was known as North Tortuga, a pirate hideout. The legend has it that in its’ catacombs you can hide a tall ship, and it won’t be found. We’re not going to check whether it’s true or not, but we’ll take a peek at the island made famous by Christian Johann Heinrich Heine. It’s a roosting place for thousands of birds and a place of interest for thrifty folks (tax-free zone). 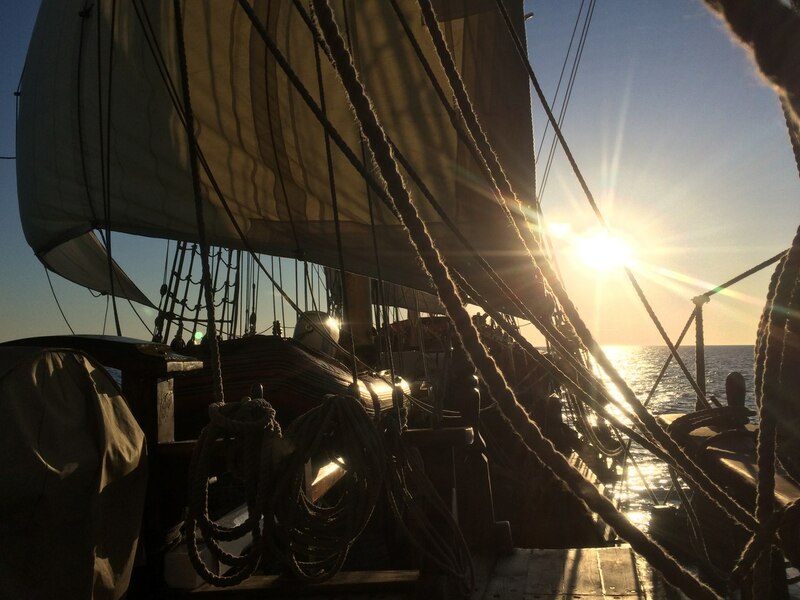 Then we’ll sail through the quiet Kiel Canal, taking in the views of peaceful small villages, round Zealand, the largest island in the Baltic Sea, and arrive to Copenhagen. We gotta win the training battles! 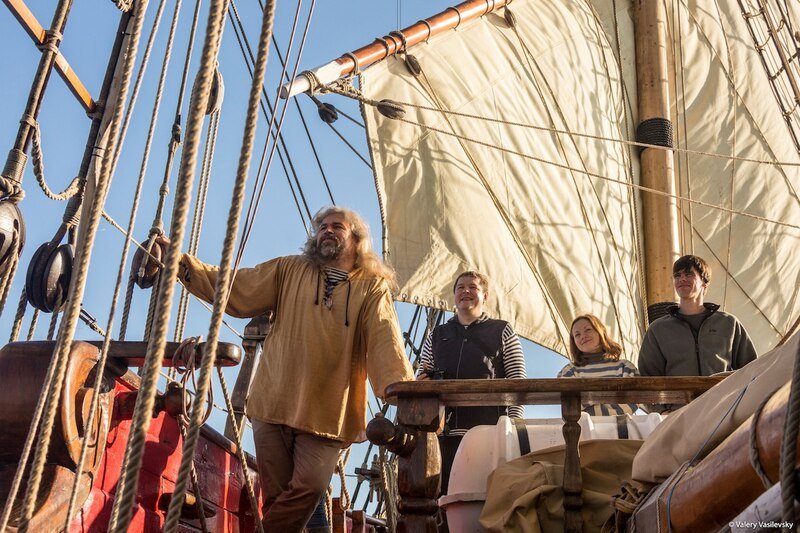 So before we arrive to Copenhagen, we need to master maneuvering in tight spots, bracing the yards fast and in coordinated manner, setting sails and… handling cannons. 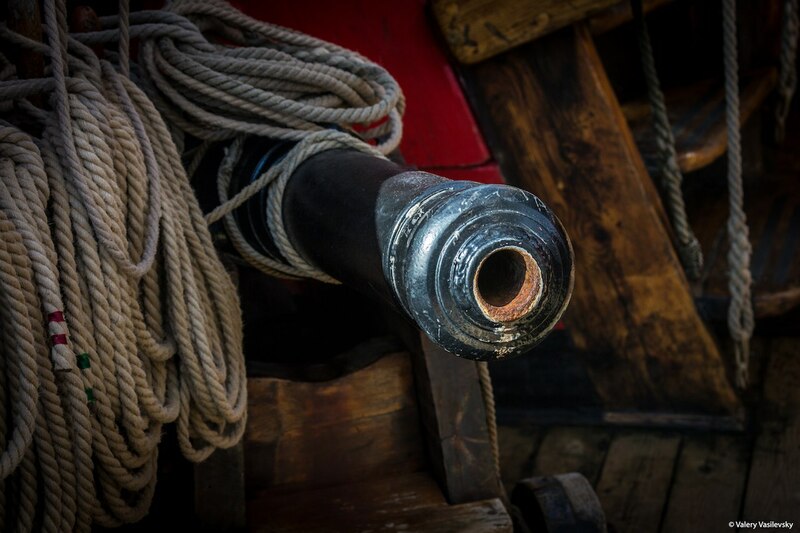 Of course we have real cannons and we need to fire them with skill and confidence! - By plane to the Amsterdam Airport Shipshol. - By bus from another European city. - By plane from the Kastrup airport, Copenhagen.